Last week I decided to start a project of painting up an old wooden bowl that was in our Shed, that my Dad gave to us before Christmas. 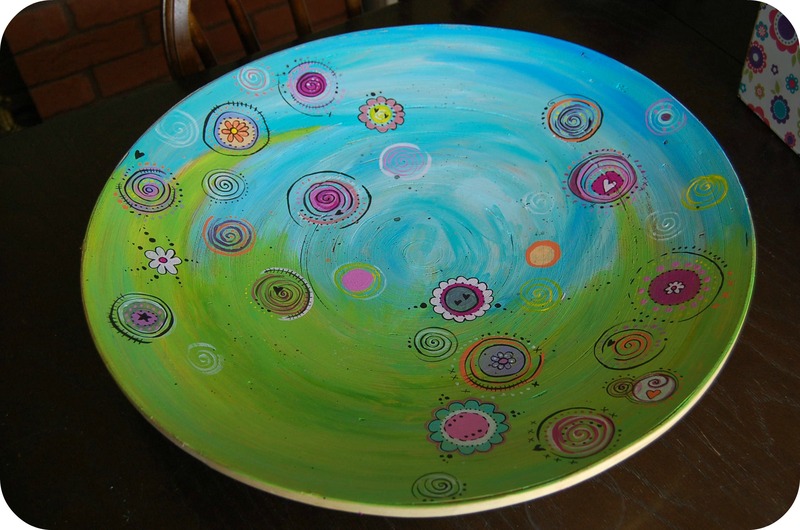 The bowl is approximately 44cm in diameter. I began by painting vibrant shades of blues and green for the sky and grass. ….And this is the final piece. 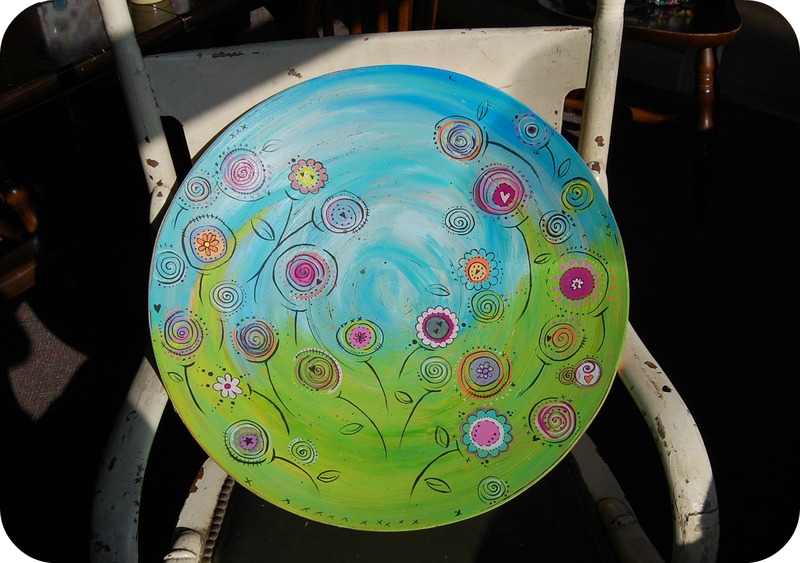 I have yet to varnish it, however I have painted the back of the bowl a bright fuchsia pink and signed it. 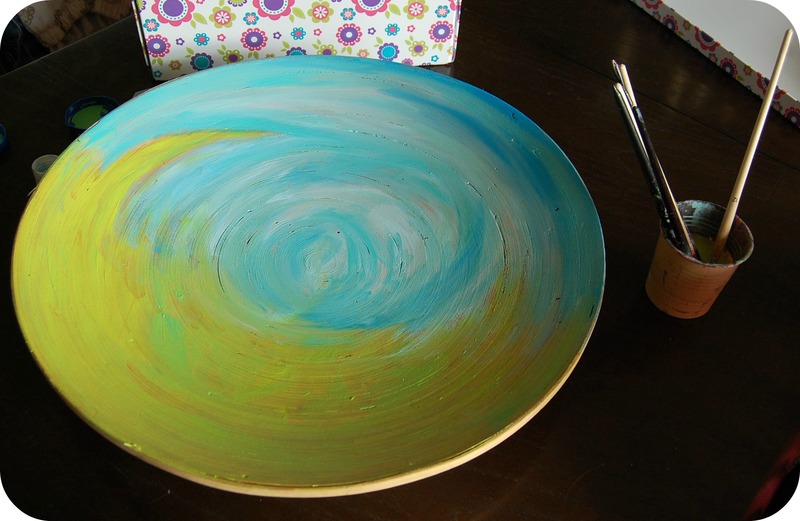 This piece of artwork, painted on a wooden bowl will be up for sale within the next couple of days on my Etsy page. I have enjoyed doing this painting as it is the first for a while without feeling under pressure to create. 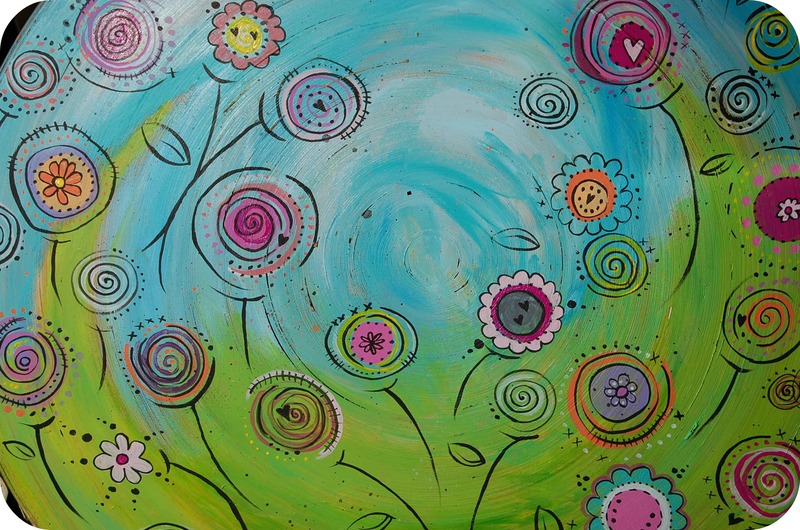 I have a couple of new canvases I am hoping to do similar pieces on in the next few days!